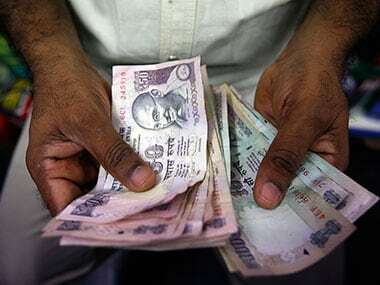 Mumbai: The rupee skidded 6 paise to finish at 69.23 per US dollar on Friday, largely owing to increasing demand for the greenback from importers. 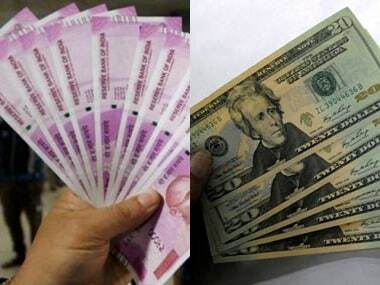 Forex traders said strengthening of the dollar against key currencies overseas also kept the rupee under pressure, though persistent foreign fund inflows restricted the fall. The rupee had plunged 76 paise on Thursday to close at 69.17 after the RBI cut the key interest rate but kept its monetary policy stance 'neutral'. 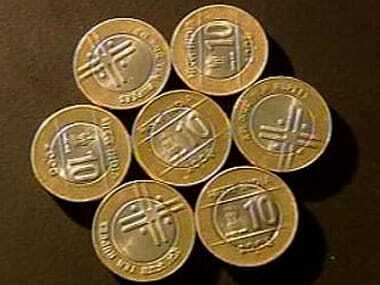 During the week, the rupee lost 9 paise. This is the second consecutive week of loss for the local currency. The dollar index, which gauges the greenback's strength against a basket of six currencies, inched up 0.01 percent to 97.31. Brent crude futures, the global oil benchmark, was trading 0.37 percent lower at $69.14 per barrel. The 30-share BSE Sensex climbed 177.51 points, or 0.49 percent, to close at 38,862.23, while the broader NSE Nifty rose 67.95 points, or 0.59 percent, to 11,665.95. The Financial Benchmark India Private Ltd (FBIL) set the reference rate for the rupee/dollar at 69.1965 and for rupee/euro at 77.7317. The reference rate for rupee/British pound was fixed at 90.6354 and for rupee/100 Japanese yen at 61.96.